Tis the holiday shopping season! And what's cuter than a handmade gift? Unfortunately, I'm not too crafty, but thankfully Ilene better known as Illy is! She has a cute little fashion blog, and sells her fabulous creations at her Etsy shop. 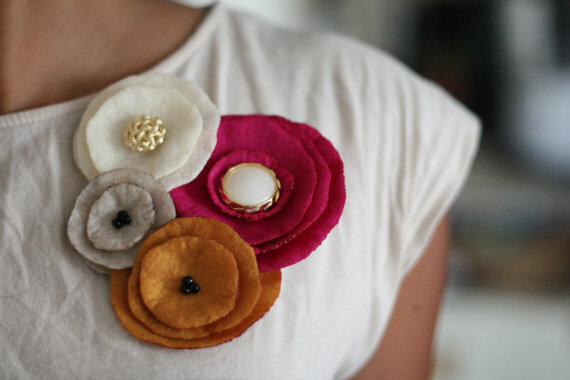 I just purchased one of her OOAK Bubblegum and Hot Chocolate Poppy Corsage pins for $18 (which looks similar to picture below) earlier this week which I am anxiously waiting to arrive in the mail. She also sells cute rings, earrings and headbands. Her stuff is so colorful, and can add a great pop to your wardrobe. 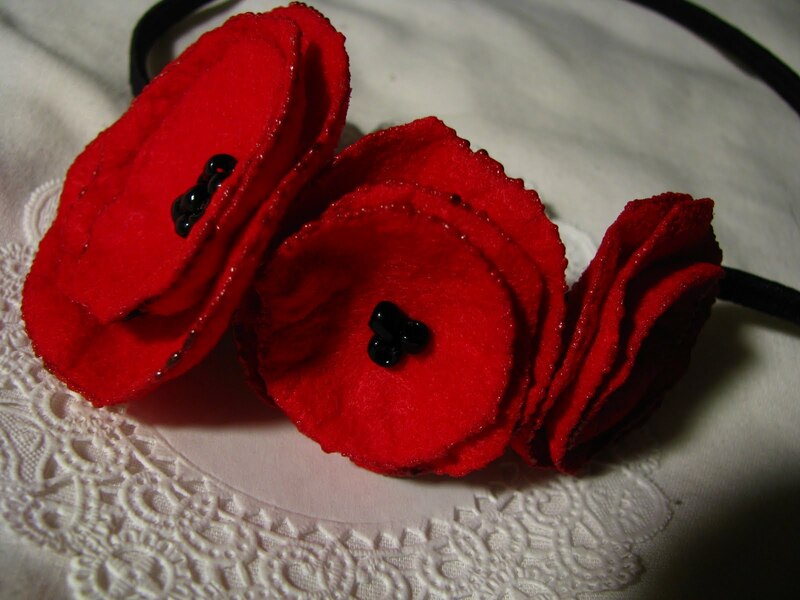 I have my eye on this Crushing on You Poppy Garland headband which can also double as a necklace which only costs $13. To me there's nothing better than a gift that won't break the bank and that's handmade. You Rock Much Love, Illy! p.s. cute blog - esp. since i loooove traveling myself!